‘Tis the season to feel bloated, fa-la-la-la-la, la-la-la-la! In the back of our minds, we know that the surefire way to avoid holiday bloating is to lay off turkey, cookies, mashed potatoes, broccoli casserole and booze until after the New Year, but that’s just crazy talk. So we’re advocating adding certain foods to your diet through November and December to decrease uncomfortable bloating — and also cutting back on salt whenever possible. It’s true that everyone’s stomach will expand at least somewhat after eating, but to decrease the bloat, try stocking your recipes with these tummy-friendly goodies. 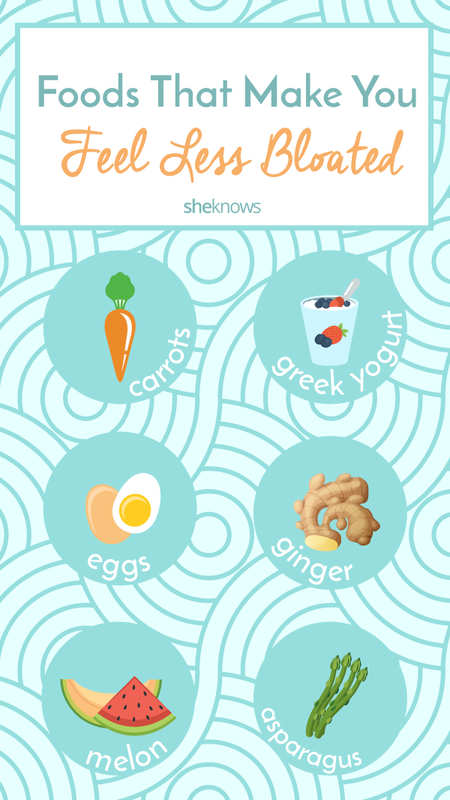 Skip the honey and the chocolate you dip into your daily Greek yogurt habit if you want to prevent bloating. Instead, go au naturel with the good ole-fashioned plain variety. The key word here is ‘Greek,’ according to Walsh. “Greek yogurt has less dairy than certain types of yogurt available, so it decreases bloating in your stomach. Greek yogurt has less sugar and more protein than other [types] of yogurt, making it a better choice for your body,” she says. If you haven’t tried kombucha yet, here’s your gentle nudge to give it a try. It’s an acquired tastes for sure, but clinical nutritionist Tara Coleman explains kombucha falls into the fermented food category, which includes other debloating picks like yogurt. They help flatten your stomach because they replenish the good bacteria in your digestive tract and improve your digestion. Consider taking a swig (or a chug) of kombucha midafternoon after you’ve had your lunch to promote a smoother transition to dinner. Here’s another reason to reach for a handful of baby carrots when those hunger pangs strike in the afternoon. Walsh says these easy nibblers won’t make you bloat, but will satisfy your cravings. “Carrots are filled with potassium to help fight off bloating. The fiber found in carrots fills your stomach and makes you feel full without feeling bloated or tired,” she explains. While you probably don’t want to bite straight into a hard piece of ginger root (yuck! ), Coleman does suggest shaving some fresh scraps into hot water to make a ginger tea any time you’re feeling a little puffy. “Ginger contains a digestive enzyme that helps your body break down protein, and it can also have a nice calming and anti-inflammatory effect on your gut,” she says. If your response to your alarm clock each morning is sheer dread (and a silent prayer for just one more hour of sleep, please! ), we feel you. But instead of turning over and avoiding the day, we encourage you to start your day with a tall cup of joe and a breakfast that’ll give you energy without bloating you. Walsh says because of the high amount of vitamins and minerals that eggs offer, you’ll fill up fast without being uncomfortable. More of a fruit snacker than a veggie grazer? Coleman says to lean toward foods that contain a high percentage of water. “Melon’s high water content helps your body flush out excess sodium, making you feel less puffy and improving hydration. They are about 90 percent water, making it almost the equivalent to having a glass of water,” she explains. From watermelon and cantaloupe, cut up some pieces to keep in the fridge at work for easy access. Great on the grill, ideal when served cool in a salad or even pickled, asparagus receives the expert seal of approval year-round. And for good reason. Walsh says these green superstars have both pre- and probiotics that help maintain the proper balance of gut bacteria while also fighting off bloating via weight loss. What’s she mean exactly? Well, by, ahem, encouraging trips to the restroom. 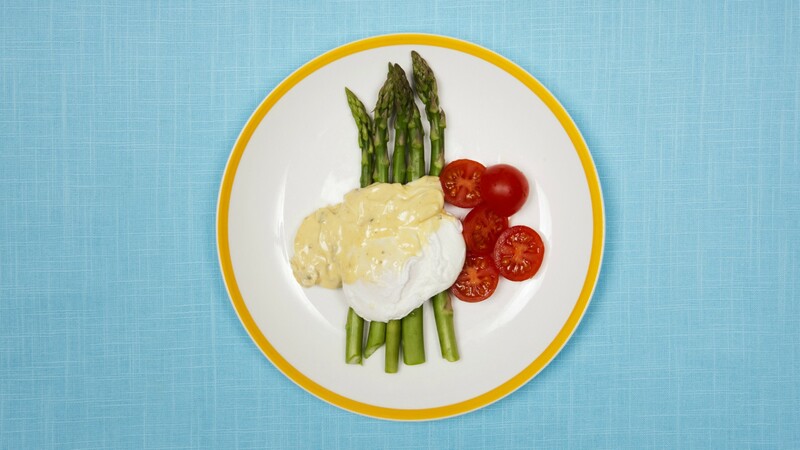 “Asparagus makes you pee, which helps you flush any extra fluids in your bladder and relieves bloating,” she says. So the next time you feel like your stomach is about to pop out of your pants (even if no one else can see it), pop a few of these foods on your plate and you should be good to go. Originally published August 2017. Updated November 2017.